A staple in the Iberia series, the Cordoba C5-CE features a solid Canadian cedar top and mahogany back and sides. 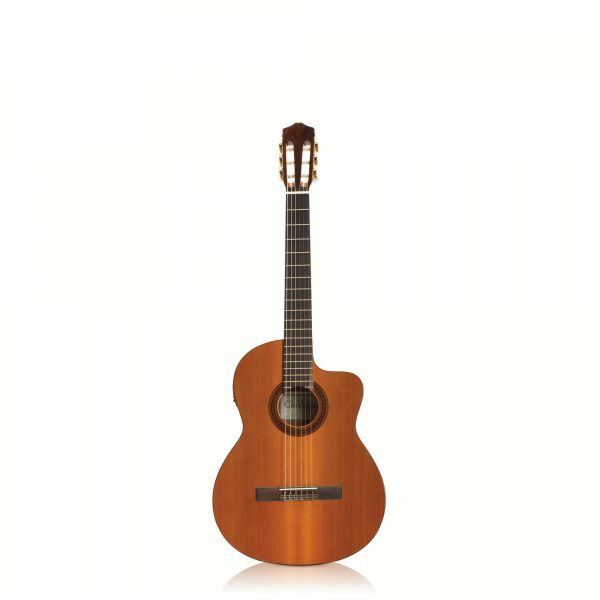 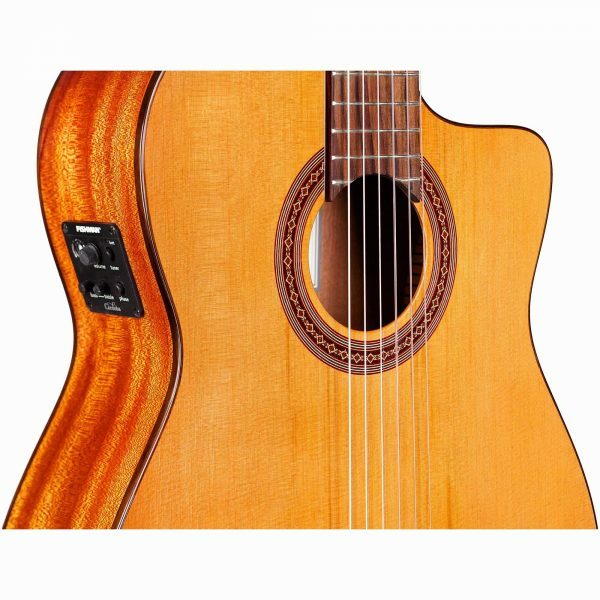 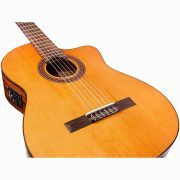 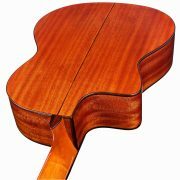 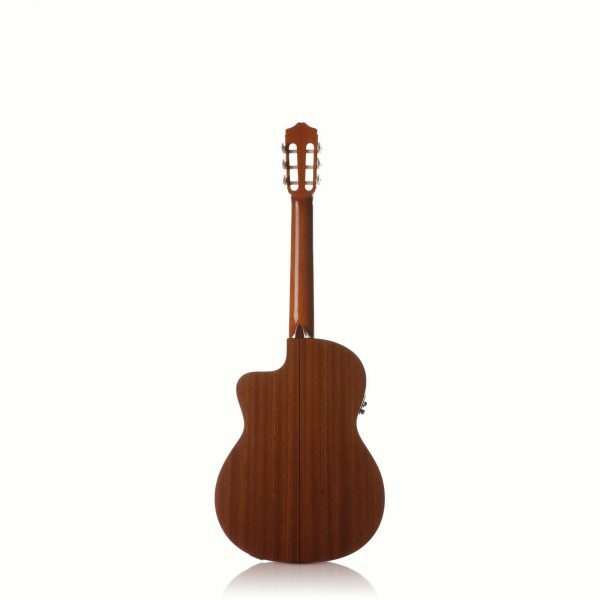 The construction is based upon the traditional Spanish Classical guitar with the exception of a soft cutaway and a slightly thinner neck. The Fishman Isys+ 2band pickup system produces a rich and natural sound when amplified – perfect for gigging and recording.